Truth is something that differs from fact; fact is derivative of information observed, researched, tested and documented. Facts as written in text books change as we gain greater and deeper information, develop technically superior means of observation, more sophisticated means of research and more accurate methods of testing. Truth is something that exists in an immutable sense, that is, truth doesn't change (though our perspective of it may, depending substantially on our particular bias). It doesn't contradict, it doesn't become more or less true. Facts pertain to our created, observable reality (itself composed of matter, energy and space within a space/time continuum), whereas truth exists in an eternal sense, from without the space/time continuum. We need not search out the well-nigh infinite expanses of the heavens nor delve deeply into the fathomless chasms of Earth in order to discover or perceive truth, much less conceive it. 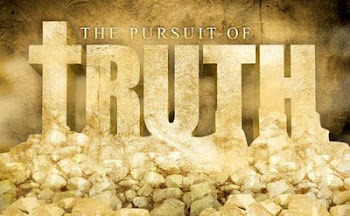 God Himself is the Spirit of Truth (JOHN 14:17); Jesus claimed Himself to be the embodiment of Truth (JOHN 14:6) and our Creator God (PSALM 31:5) has provided for us all the truth we could possibly need, found in the pages of Holy Writ. God being God, what with all of His attributes (among them His omniscience, or being all-knowing; also His omnipotence, or being all-powerful), it would not prove difficult for Him to convey His truth to us; the crucial aspect of His sharing would be, to convey it in such a way as we would be assured of it's origin. If God could get a message to us, He would be able to convince us of its divine authorship. How did God accomplish this? One (among a few) powerful method as found in the Scriptures themselves is prophecy. The uttering and writing of God's Word in its general sense is considered “prophecy” thus those that God chose to speak on His behalf were called prophets (as well as others, such as the apostles, who spoke with not only apostolic authority, but with prophetic authority as well). One particular aspect of prophecy is in the foretelling of the future; any creature bound within the space/time continuum could not do such a thing with one hundred percent flawless accuracy. Only such a Being Who exists outside creation, Who sees all, all at once would be able to gaze upon any specifics and accurately relate them to us. A very common proof of this is found in the book of DANIEL; chapters Two and Seven which relate all of Gentile history as it concerns four primary Gentile empires that had effect and influence upon the central national object of the Bible – the nation of Israel. There is no other religious book, or any other book for that matter, that can claim what the Bible alone has the audacity to claim . . . and prove (! ), that this is the book of the Eternal God and He has revealed to us what will transpire in time upon this world. The presentation of evidences that support the reasonable belief that the Scriptures are indeed the Word of God is the subject and study known as apologetics. The following site has a list of excellent resources for apologetics from various ministries (note: TTUF does not necessarily agree with all views, perspectives and doctrinal positions presented here). The word “canon” in Greek is κανών ‎kanṓn, meaning “measuring rod, standard”. All of the revelation of God comprises of God's truth – not the truth of angels or men, but God's own Truth, absolute and pure. It belongs to Him in as much as He is the truth, as referred to above. And as we also indicated just previously, the truth is self-evident, it cannot contradict itself or be changed. Thus in determining canon, our work is really already done for us, because the standard by which we measure which writings contain truth and which do not, is the Word of God itself. While this seems like circular reasoning, it isn't, simply because the establishment of truth in this world to begin with, was accomplished by God Himself – in bringing revelation to the first writer of Scripture, Moses the Prophet and Lawgiver, the LORD established a precedent, or a 'template' if you will, by which all other writings would be compared and confirmed or denied based on whether or not they are in agreement with the initial revelation, that being the first five books of Moses. Yet the LORD doesn't merely repeat revelatory truth over and over again, but reveals even more truth which compliments, never contradicts* that canon which was written before. *It has been observed that truth is not self-contradictory. With the addition of more of God's truth to the Scriptures as they were written throughout the ages, we get a clearer picture of God – His nature, character, His plans and intentions and ultimate goals. This is known as progressive revelation. “Progressive revelation relies in the first instance upon the competence of how that revelation has been communicated. To deny this point is to cast doubt upon the utility of the modifier “progressive.” Revelation has to reveal or else it is not a revelation. Progressive revelation has to reveal progressively in a logically connectable way in order to be what it claims to be and to substantiate itself. “Think about the doctrine of the Trinity. It is a classic illustration of progressive revelation. As it starts out the Bible introduces God. Then it speaks about the Spirit of God who broods in contemplation over the unformed mass (GEN 1:2). We get to the schema (DEUT 6:4), and we learn that the God who is “one” (echad – which can mean a plurality in unity as in GEN 2:24) is perhaps just such a plurality in unity. 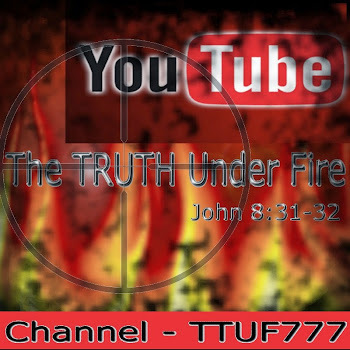 NUM 6:24-26 hints also at this, as of course do the inner discussions of God with Himself (the “let us” passages) in GEN 1:26, and 10:4,7, and the occurrence of the Visitor to Abraham, who, as Yahweh called down fire and brimstone from Yahweh in heaven in GEN 19:24. Then we read PSALM 110:1 and PROV 8:22-31 add to the picture of a Deity who is alone God but is not Unitarian. Indeed, Messiah is given Divine attributes in MICAH 5:2 and is called “Immanuel” in ISAIAH 7:14 and “Mighty God” in ISAIAH 9:6. Yahweh is betrayed for thirty pieces of silver in ZECH 11:12-13. “The Spirit of God 'grieves' (ISAIAH 63:10), and sends (ZECH 7:12). The New Covenant activity of the Spirit in the prophetic literature is pronounced: e.g. JOEL 2:28-29; ISAIAH 32:15; EZEK 36:27; 37:14; 39:29; ZECH 12:10. Throughout the OT the picture is being built up. How did the Hebrew nation know that what Moses wrote was truly from God? Because of the fact that they were eye witnesses of the hand of God which moved on their behalf in delivering them from Egypt by miraculous signs and wonders: plagues, ten in number that were not only judgments upon the pagan nation of Egypt for Pharaoh's obstinacy in refusing to free the Hebrew slaves, but also upon the ten primary pagan deities that they worshiped. They were also well aware of how God miraculously provided for them during their Forty Year Wanderings in the wilderness. Throughout the days of Moses, they heard the voice of God speaking to His Prophet, and at one point, they begged Him to go before the LORD himself, and to not let they themselves hear the voice of God, as they greatly dreaded His fearsome and awesome Presence. The Hand of God was likewise present in Joshua's ministry, as well as many of the earlier prophets of Israel. Throughout the writings of these first five books of Moses, referred to as the Pentateuch or Torah, over and over again, we read the words “Thus saith the LORD . . .” and such revelation was then given that spoke of future events, of God's plans and intentions, of the fate of Israel and the Gentile nations that came true as to verify that what was written was in fact, the very Word of God. It's an interesting point of fact that all of the foundational, primary, and thematic doctrines of Scripture can be found in the first ten chapters of Genesis (much of which is deemed as 'Hebrew poetry' by liberal theologians who discount these early chapters as anything valid). So we see a careful, methodical, layering of doctrinal truth, and substantiation of these five books as divinely inspired and authored. There is a great divergence in opinions and perspectives as to which books of the Bible are canonical and which are not. For this we have liberal and so-called 'rational' theology to thank, for most in this camp disregard the miraculous – everything from the very creation by God to the Old Testament miracles, to those of Christ's and the apostles' themselves. They likewise discount the virgin birth, the Deity of Christ, the necessity of the blood atonement of the LORD, etc. Up until that point in time when Modernism took root in the church, there was summarily and generally (but not unanimously) speaking, agreement upon which books belonged in the Bible as Divine and authoritative and which did not. For the purpose of this series, we shall overlook the (ultimately) non-issue of the unbelief of such liberal, Modernist (or Post-Modernists for that matter) scholars and seminarians and deal with the central issue of the canon itself. I am not much for Creeds and Confessions as found in Reformation theologies, but it is a convenience to summarize and emphasize beliefs on a doctrinal basis, and thus be used as a tool to demonstrate the church position on Scripture as authentic, absolute, inspired and authoritative. We find such demonstration in the document known as the Westminster Confession of Faith; take note especially page 3 of this document. 1) From the author himself, which from fragments and remnants of extant manuscripts discovered and preserved attest to the fact that Moses indeed was the writer of these books. 2) The evidence of latter writings, from the book of Joshua and on, which credit these books as from Moses. 3) The very testimony of Christ Himself Who also identified these books as written by Moses. Certainly the claim is justified that the book of Genesis predates the life time of Moses, and it must be duly noted that while there are no distinct marks to show that this book was written by him, there are no other marks to distinguish this first book as authored by any one else either. There are many that believe that this book was a compilation of various recorders throughout these first ages of the world, and that Moses merely collected, recorded and kept this work. Careful study of this book will reveal its Divine authorship however as does the whole of Scripture, including the endorsement of Jesus Christ Himself Who referred to people specifically found in Genesis, demonstrates. For those who accept inspiration of Scripture (2 TIM 3:16), it would be reasonable to believe the idea that the LORD supernaturally revealed to Moses those events that happened “In the beginning . . .” just as the Holy Spirit revealed to such as Daniel and John the apostle those things “which shall be hereafter . . .” (REV. 1:19). It should also be mentioned that the persons of Abraham, Isaac and Jacob, who figure prominently in this First Book, are replete in references throughout Scripture, which verifies that which was written first. The family of Jacob s mentioned in GEN 46:9-27 are repeated in EXODUS 6:14-16 (which supports the view that the writer of Exodus must have had on hand that which was written previously in Genesis). It is mentioned that Moses took with him the bones of Joseph (EXOD 13:19) just as he requested of his family (GEN 50:25). The offspring of Esau is mentioned as the “brethren of Israel” (DEUT 2:4) which was explained earlier in GEN 25:25-26. The children of Lot are listed as: Moab and Ammon in both GEN 19:37-38 as well as in DEUT. 2:9,19. 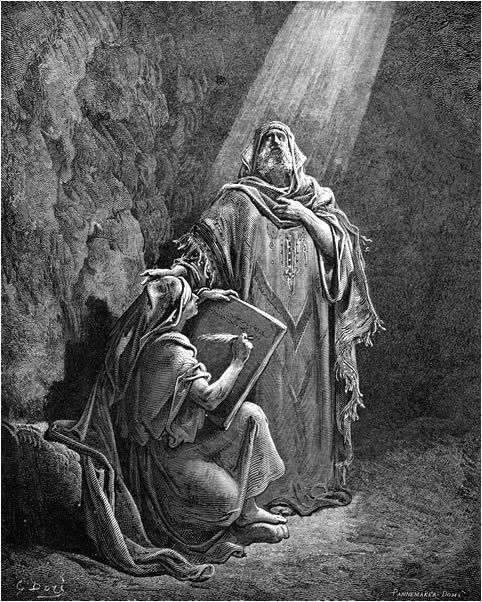 With reasonable scholarship and astute archeological research, there is little doubt as to who wrote the books from Exodus to Deuteronomy; Moses is the singular candidate as His name appears everywhere throughout the text as the author; this claim could have easily been disputed by his contemporaries had such a claim been a falsehood, particularly since Moses had certain would-be rivals (NUM 26:10). “No one else could have written these details of Moses' life or recorded the words of the LORD to Moses, unless the books are a colossal invention, The expression, 'the LORD said unto Moses' or a similar phrase occurs over seventy-five times in Exodus alone. A similar situation prevails in Leviticus, Numbers and Deuteronomy. The books record what the LORD told Moses alone at the bush, as well as on Mt. Sinai. No one but Moses knew the things here written. Certain parts of these books are directly ascribed to the writing of Moses – the poetry of EXOD 15, DEUT 32 and DEUT 33, the travel log of NUM 33, the covenantal law of EXOD 20-24, the section called “this law” referred to in DEUT 28:58; 31:9 (probably including DEUT 27:1-31:9) and other passages. Almost the whole book of Deuteronomy claims to be Moses' spoken words. Most of the words in the chapters of Leviticus open with “And the LORD said to Moses” . . . Called a prophet by the 8th century prophet Hosea (HOS 12:13) Moses stand at the head of that noble line of men who revealed God's will to Israel and write much of t down for all time (DEUT 18:15-22).” Zondervan's Pictorial Encyclopedia of the Bible; pg. 771 Section B, Pentateuchal claims for Mosaic authorship. And with such certainty as this, we may credibly conclude that his name rightly is associated with the first book as well. So we shall end this first article, having begun to explore the canon of Scripture by these few preliminaries. We have only begun the journey and have a way to go but let us patiently tread the way, and leave no important stones unturned. For the next article we will continue to examine the Torah, these five books of Moses, along with the beginnings of the Old Testament canon that has been granted by God, starting with Joshua. May the LORD bless and keep us by His Spirit of grace and truth, in JESUS Name, amen.